I know I have been MIA for the past semester (I am still there on most Wed screenings though!) due to various school, work and family commitments. Am currently working on a smallish re-layout for the main site, and would appreciate comments - colour, more pictures, more text, larger text, additional links to stuff etc. As you can obviously see, I am essentially a minimalist. Thus, the very "plain" look. 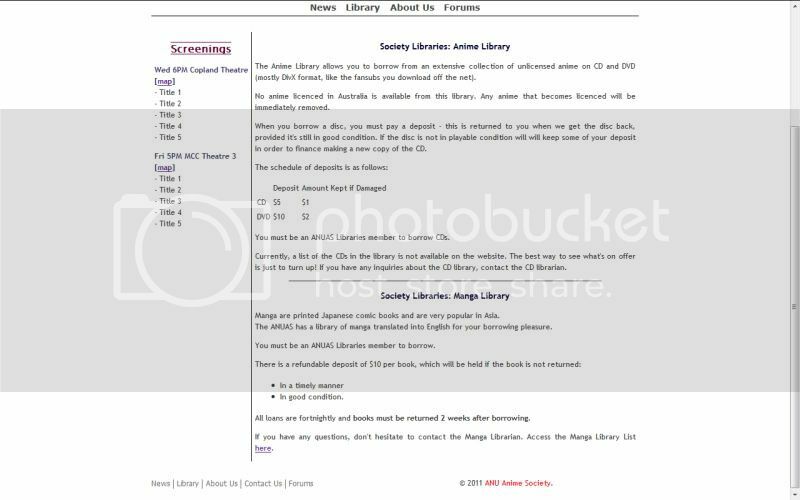 The CD Library is not linked - wondering if I should do so, because of the legalities of having downloaded copies of anime? Or are we past that? 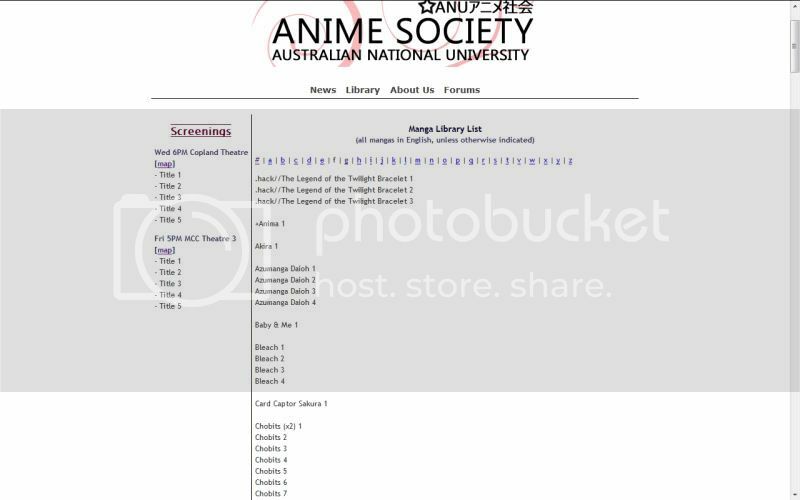 I don't know what you're talking about, there is absolutely nothing even vaguely illegal whatsoever about our Anime Library and it's collection of anime currently 100% unlicensed in Australia. Trust me. 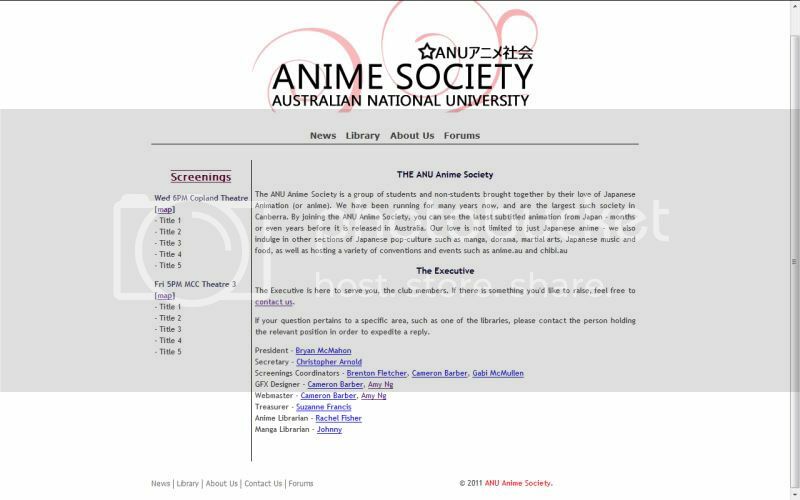 Also, why アニメ社会? Wouldn't アニメ部 or アニメ・クラブ sound more natural? XD I know 社会 looks cooler up there though.